Ryan and Jerrica's story is truly a modern day fairy tale! The two of them met in college at East Tennessee State University, where Jerrica worked in student living and Ryan had a soccer scholarship. Jerrica crushed on Ryan for what seemed like ages before testing the waters with a line of her own. "You are literally so beautiful, every time I see you it makes my day," she told him one day out of the blue. The next night, Ryan asked her out on their first date! Since Ryan is from Ireland, their relationship turned long distance for some time, but they both knew they were willing to make it work. Jerrica moved to Ireland for a while before they both moved back to the States. 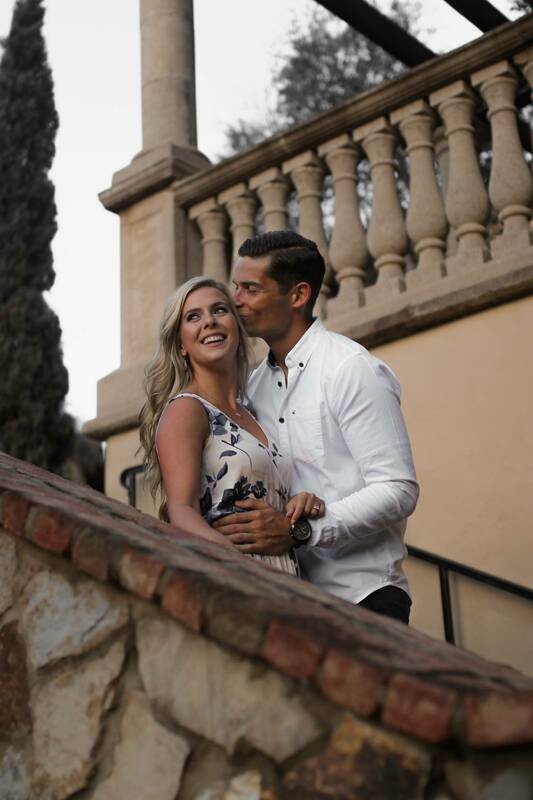 However, it was on a trip away together in Spain that Ryan popped the big question! He surprised Jerrica with a sunset cruise on a yacht, complete with champagne and snacks. Every year of their relationship, Ryan would write Jerrica a letter, and his letter for Year 5 was something special! As the sun dipped low, Jerrica read Ryan's letter which ended with the words, "How does forever sound?". Of course Jerrica said yes, and their happily ever after began! 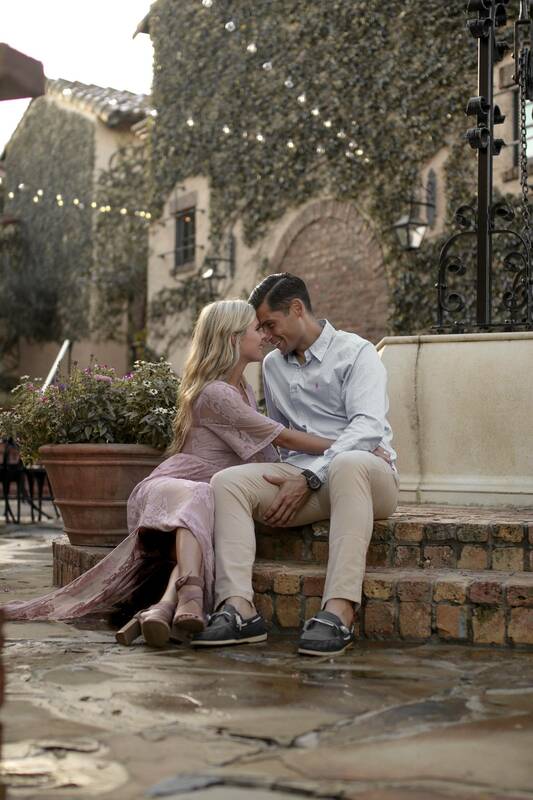 Jerrica and Ryan's engagement session took advantage of the romantic stone walls and Tuscan ambiance of Bella Collina. 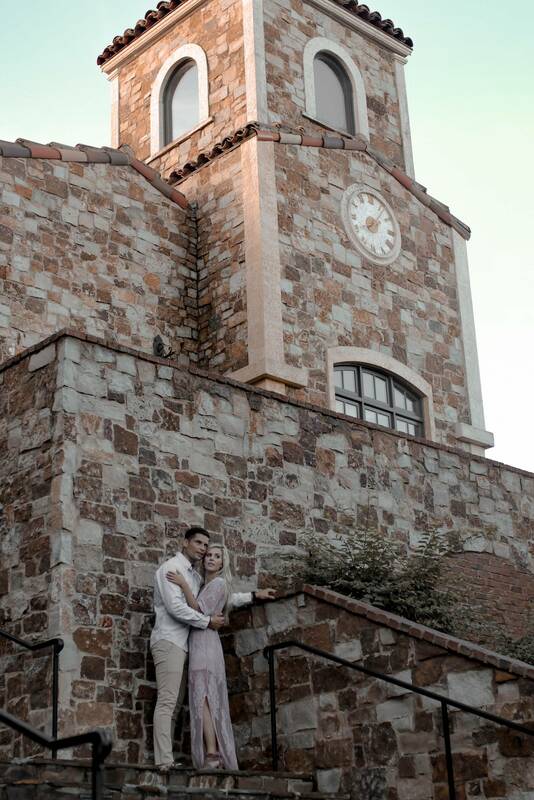 They canoodled on the steps and twirled by the reflecting pond overlooking the rest of the Bella Collina property. It's clear from the way they look at each other that they share something special! 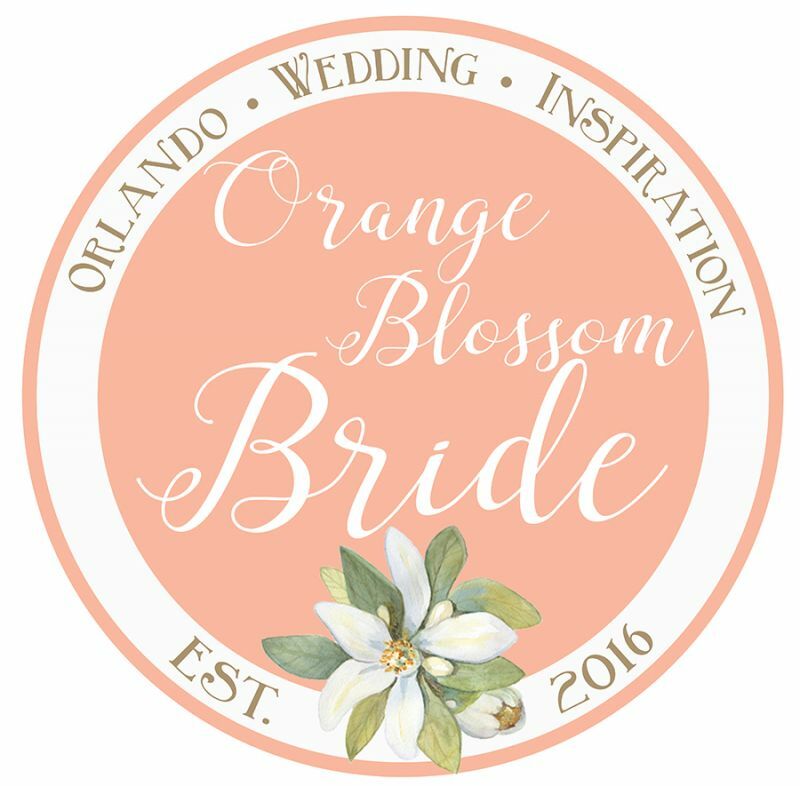 See more of Ryan and Jerrica's story along with their wedding plans here!